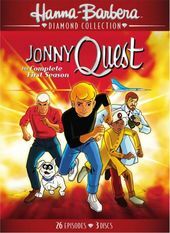 The adventures of Jonny Quest and his father Dr. Benton Quest. Along for the adventure is the multi-faceted "Race" Bannon, the mystical Hadji, and Jonny's dog, the irrepressible Bandit. They solve mysteries and try to thwart the evil of Dr. Zin.